Here are 5 important Windows 8 tutorials that every new Windows 8 user must take a look upon. The very new OS that Microsoft has recently come up with, is totally new and unique. Yupp…Windows 8 has a total different interface, it has amazing apps, has a separate App Store, and above all, it does not have the most commonly used “Start” button. Yet, it has been liked my many of us. However, to access Windows 8, you need to learn some new things as Microsoft has changed the way we access an OS. In order to play around the amazing Windows 8 features and applications, you need to login to Windows 8. It does require a Microsoft or a Hotmail ID, Password to login through. For a new Windows 8 user, it is a bit learning process on how to add users in Windows 8. Hence, we have written a complete step-by-step tutorial on how to add users to Windows 8. Read the entire post to go through the entire process. Microsoft’s Windows 8 needs a login, where you need to create an account with either Microsoft or Hotmail. 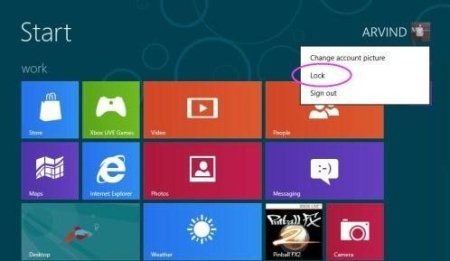 Apart from signing in through a Hotmail or a Microsoft Account, you can also use Windows 8 local account to login to Windows 8. Well…I would say thumbs up for signing in through Microsoft Account as it syncs all the settings with Windows 8. 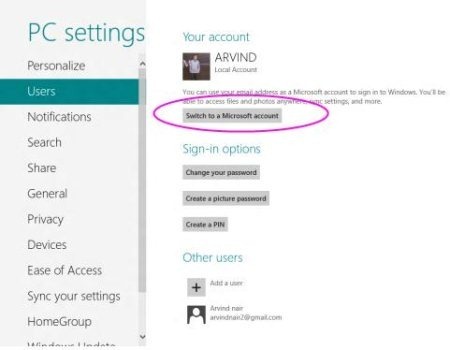 This will let you get all updates when ever you sign-in Windows Account from other devices. However, Microsoft has provided a separate option to toggle between both the accounts. 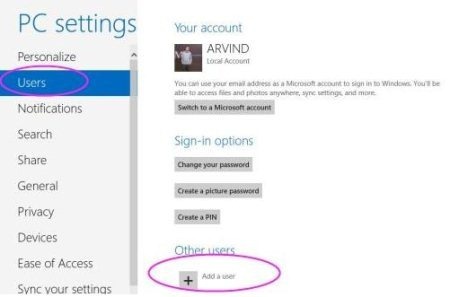 Read a precise tutorial on how to Toggle Between Windows 8 Microsoft Account And Local Account. By locking PC, I mean you are locking the system so that no one can access it while you not over your desk. The system remains logged-in and just displays a lock screen. However, to unlock the screen back, you would be required to enter your confidential password. Locking Windows 8 screen does require a bit learning as it is very much different from other OS including Windows 7, Windows XP, and others. Read the entire post on How to lock Windows 8 screen. This is one of the main Windows 8 task where I struggled a lot. Like me, there are many people who raised such question as to how to sign-out from Windows 8 because every time we login, it automatically signs-in to registered account. Hence, after a quick R&D, I found. Read the entire post on how to sign-out from Windows 8. One of the most difficult thing I found while accessing Windows 8. Of course the reason was that Microsoft has not provided the main “Start” button in Windows 8. Hence, I got confused as to how should I shutdown from Windows 8. After a quick R&D, I found a proper way to shut down Windows 8. 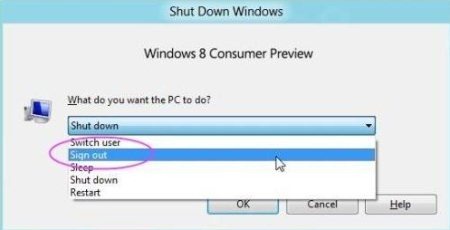 Read the tutorial on how to shutdown Windows 8.